The Allstate Corporation (NYSE: ALL) today announced that its board of directors has approved a quarterly dividend of 20 cents per share and a $1 billion share repurchase program. 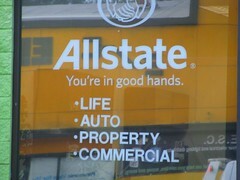 “Allstate is exceptionally well-capitalized, with an estimated $15.1 billion of statutory capital at the insurance companies and $3.5 billion of investments at the holding company as of September 30, 2010,” said Thomas J. Wilson, chairman, president and chief executive officer of The Allstate Corporation. “Our capital levels result from proactive management over the last three years. These actions include sustained auto profitability, reduction of hurricane exposure, as well as a repositioned Allstate Financial. We also aggressively managed Allstate’s $100 billion investment portfolio. This negated the need to raise capital despite the severe downturn in financial markets and the economy. As a result, we can resume providing additional cash returns to shareholders. Since 1995, we have returned more than $28 billion to shareholders through dividends and share repurchases,” concluded Wilson. The $1 billion share repurchase program will be made through open market purchases and completed by March 31, 2012. The board also approved a quarterly dividend of 20 cents on each outstanding share of the corporation’s common stock, payable in cash on January 3, 2011 to stockholders of record at the close of business on November 30, 2010.